For whatever reason, you may find it useful to temporarily disable a form. 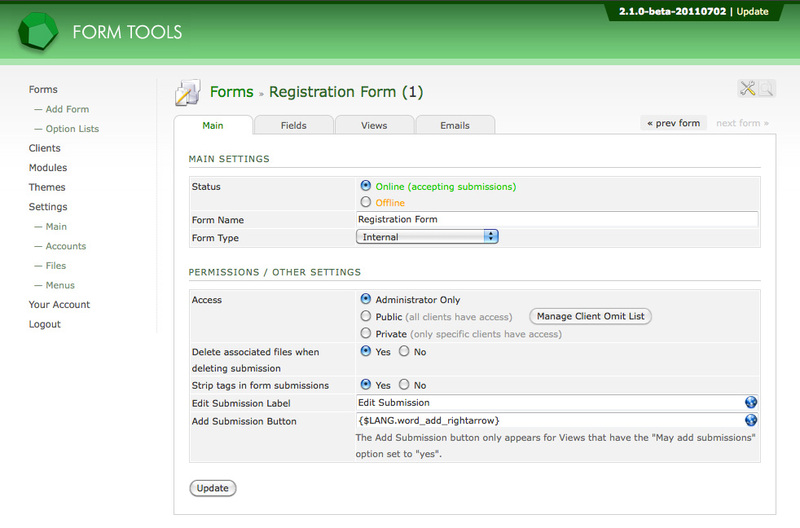 To do this, edit the form and go to the Main tab. There, change the "Status" setting to "offline". This will prevent any future submissions from being stored by Form Tools. 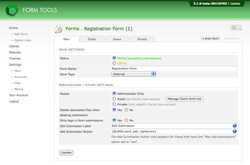 If a person submits the form during this time, they will receive a message informing them that the form has been disabled. As such, you may wish to make additional changes to the form itself to indicate it has been disabled.